Identity management plays a crucial role in many application contexts, including e-government, e-commerce, business intelligence, investigation, and homeland security. The variety of approaches to and techniques for identity management, while addressing some of the challenges, has introduced new problems especially concerning interoperability and privacy. As such, any attempt to consolidate such diverse views and approaches to identity management in a systematic fashion requires a precise and rigorous unifying semantic framework. 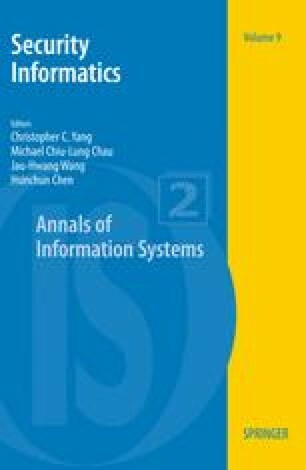 We propose here a firm semantic foundation for the systematic study of identity management and improved accuracy in reasoning about key properties in identity management system design. The proposed framework is built upon essential concepts of identity management and serves as a starting point for bringing together different approaches in a coherent and consistent manner. K. Cameron. The Laws of Identity [online], December 2005. Available: http://www.identityblog.com/?p=354. Future of Identity in the Information Society – FIDIS (January 2008 – last visited) Website. [online]. Available: http://www.fidis.net. PISA – Privacy Incorporated Software Agent. Information Security, Privacy and Trust. (February 2008 – last visited) [online]. Available: http://www.iit-iti.nrc-cnrc.gc.ca/projectsprojets/pisa e.html. PRIME – Privacy and Identity Management for Europe. (January 2008 – last visited) Website. [online]. Available: http://www.prime-project.eu.